A Crew to Support the Regional Food Bank of Oklahoma. Join our Team … Saturday, July 16th, from 9:30am to 12 Noon. Here are the instructions to sign up for our 3rd Annual Mandela Day Service Project. 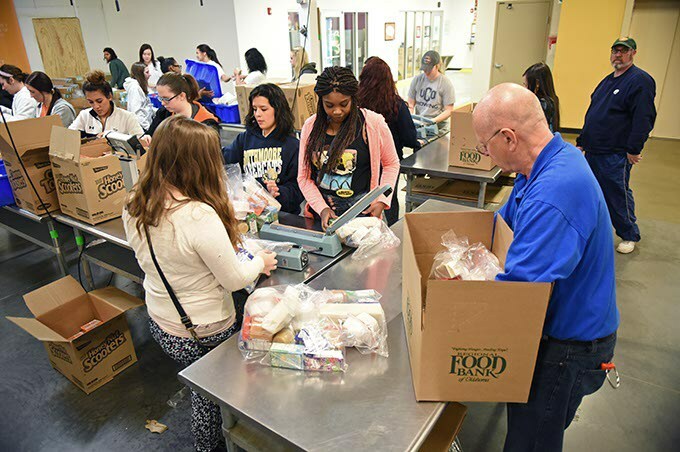 This year’s project is sorting and packing food at the Regional Food Bank of Oklahoma. If you are able to join us on Saturday, July 16, 2016 from 9:30am – 12:00 Noon, please follow the instructions below to secure your spot. Volunteers under 18 must bring a signed Parental Consent Form. No loose, revealing or offensive clothing. Please arrive 15 minutes before your shift begins. Before your shift, each member of your group must register online. (Please register no later than Wednesday, July 13th). Step 1. Go to the RFB registration page … Enter your email address; create an account; add your name to the crew list. You’ll receive a friendly email message from the Regional Food Bank confirming that you have registered correctly. For more detailed registration instructions, watch this video or view this PDF file. If you have any difficulties, feel free to call our friends at the Regional Food Bank: (405)600-3161 or email them at volunteer@regionalfoodbank.org. The folks at the Regional Food Bank are more than happy to help! There is no cost to sign up … Please be sure to register online at least 3 days in advance of our service day … So, register by Wednesday (so we’ll be able to confirm the number of workers on our team). Remember to bring your energy and passion and good spirit. 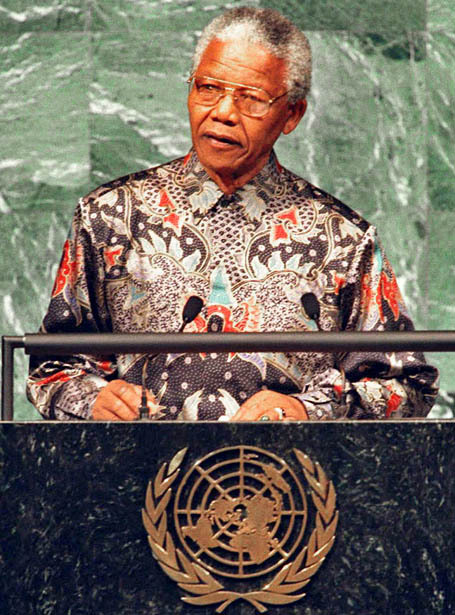 Every year on July 18th — the day Nelson Mandela was born — the UN observes “Nelson Mandela International Day” in recognition of the former South African President’s contribution to the global culture of peace and freedom. Members and friends of the United Nations Association are invited to join us in this service project. We hope to see you Saturday at the Regional Food Bank!